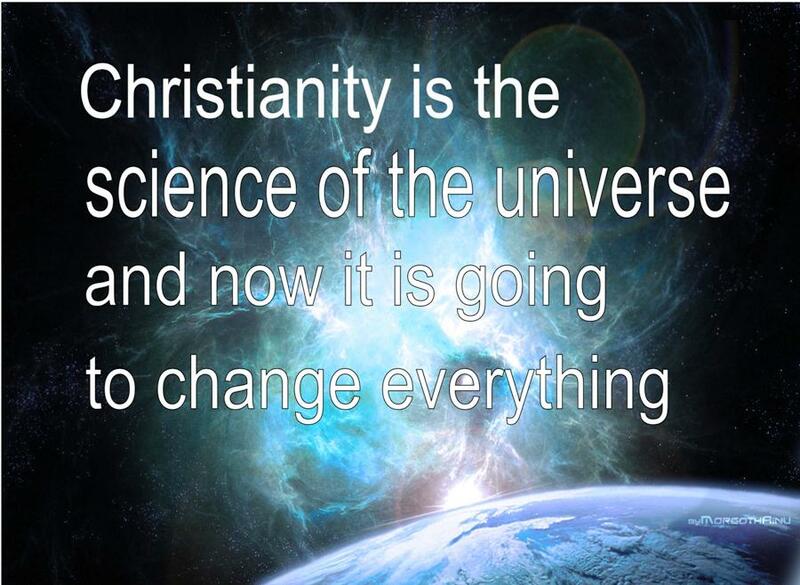 Christianity is the most powerful force in the universe and it is now entering the age of ASCENSION where all people now have the spiritual and cerebral tools to understand the true knowledge of the universe and the meaning of their life without the use of fairytale stories from the past. Christians are God's Scientists and "spiritual giants" in the universe. Each Christian is universal, eternal, immortal and infinite. They are also the creators of western civilization. Christianity is not a religion. It is the breath and oxygen of life. It is in every molecule of water and permeates all matter. It is the living science of God. Critics gleefully claim that Christianity is coming to an end but these folks are mistaken. The fifth portal of God is now opening and people now have the opportunity to live at the level of power for which they where created. Now Christians... God's Scientist, will be able to exponentially access the spiritual switches in each person and give all people the opportunity to fulfill their purpose on this planet. With the coming of the AGE OF ASCENSION the fog of fear, which has restricted the advancement of Christianity, is being lifted and the minds of Christan's are being cleared. Now everyone will be able to remember and help move our planet through the 5th portal to God. The slowness of our advancement as a civilization is due to our fear which has interfered with our ability to remember. We were created with everything we need to know to accomplish our mission as God's Scientist's. But, something happen a long time ago that cut into the information lifeline we were given to advance this planet. I will tell you about this destructive event later. But, with the opening of the 5th portal to God a new lifeline has emerged and we now have the ability to act on what we know is buried deep inside of us. We the people on this planet were not created with the ability to create. We were made to be people who could remember. Everything you see on this planet did not come about because of our ability to create but through our ability to remember. While most people will claim it was their creativity that gave them the ideas to build great buildings, in truth they were actually remembering programs in their DNA to create their buildings. Sure this sounds absurd to many but no more than what has been passed down as religion for the past 2000 years. Even the Bible says there is nothing new under the heavens of earth. Think about the time in which the Bible was written. Think about how people valued themselves, viewed themselves and how little they understand the planet, life and the universe. Is it possible their innocence and their limited understanding caused them to unintentionally misrepresent what God was trying to share with them? It is not my intention to defame your faith but it is my hope that my comments will help you to better define your faith and help you use your faith to have a better life. You are the final authority on any understanding about God and faith. I do not question your faith.